A state with diverse geographic landscape ranging from the mountainous regions of the Ozark Mountains, to the forested land in the south called the Arkansas Timberlands; Arkansas (AR) has been home to some of the most influential Americans, such as former president Bill Clinton. The capital and one of the most densely populated cities is Little Rock. Much like anywhere else, pregnancy is regarded as a blessing in this indigenous state, and to preserve that blessing, all precautions must be taken. That precaution is a 3D/4D Ultrasound. It has become absolutely vital in this day and age to visit a sonogram center and gain visual of the fetus and have a reassurance of its well-being. This service is almost rudimentary considering the surge in birth defects that could easily be countered through prenatal care. 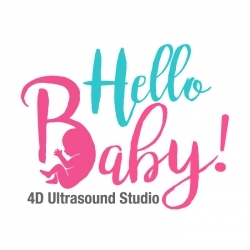 Our website comes in to provide you the nearest Ultrasound centers in your vicinity, whether it is in Fayetteville or Hot Springs.